Attorney Burns is of counsel with Berdon, Young & Margolis, PC. He represents a wide variety of business and individual clients, and has a diverse background in several practice areas including personal injury matters, business law, commercial and residential real estate transactions and litigation, landlord and tenant law, and family law. Attorney Burns was associated with the firm from 2002 until 2011 and rejoined the firm in 2014. He devoted 2011 to 2014 to developing his practice as Partner of Burns & Nguyen, LLC, with offices in West Hartford and New Haven. 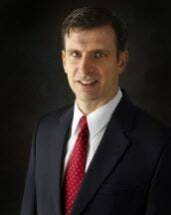 Attorney Burns graduated from the University of Connecticut School of Law in 2001, where he was a member of the Connecticut Moot Court Board and the Criminal Trial Clinic. He graduated from Albertus Magnus College with a Bachelor of Science degree in 1998, where he received several academic honors. Attorney Burns is deeply committed to pro bono practice and has been recognized for his pro bono service by the Connecticut Bar Association and the Connecticut Fair Housing Center, including the CFHC's George and Patricia Ritter Pro Bono Award in 2014 and its Foreclosure Prevention Award in 2009. Attorney Burns is admitted to practice in the State of Connecticut and the Federal District of Connecticut. He is a member of the Connecticut Bar Association and New Haven County Bar Association, and serves on the Board of Directors for the Foundation for the New Haven County Bar as its Immediate Past President. Attorney Burns was the Foundation's President from 2013 to 2014 and Vice-President from 2012 to 2013.